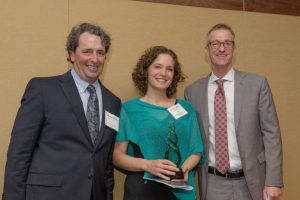 Dr. Honora Englander, MD, FACP, Director/PI, Improving Addiction Care Team (Project IMPACT) at Oregon Health & Science University, was honored at this year’s event on April 4. Check out the terrific coverage in Portland’s Society Page! Check out the We Are CODA 2017 video! To learn more about the great work going on at OHSU in our field, check out this fantastic video. And, finally, for more photos of our event, check out CODA’s Facebook page. Many thanks to our generous 2017 sponsors, The Standard, Morel Ink and OHSU!